Royal Blue & Purple Mandala Floor Pillow - Available in my RedBubble shop. My RedBubble shop now has floor pillows - both 24" x 24" and 36" x 36". Throw pillows are still available, and now, with the new sizes, you can get them in just about any size you want. In other shop news, I'm working diligently to add my designs to the new products now in my Society6 store. Stickers, backpacks, and duffle bags are the latest offerings there. To see my new products, use these quick links: RedBubble Floor Pillows, Society6 Stickers, Society6 Backpacks, Society6 Duffle Bags. 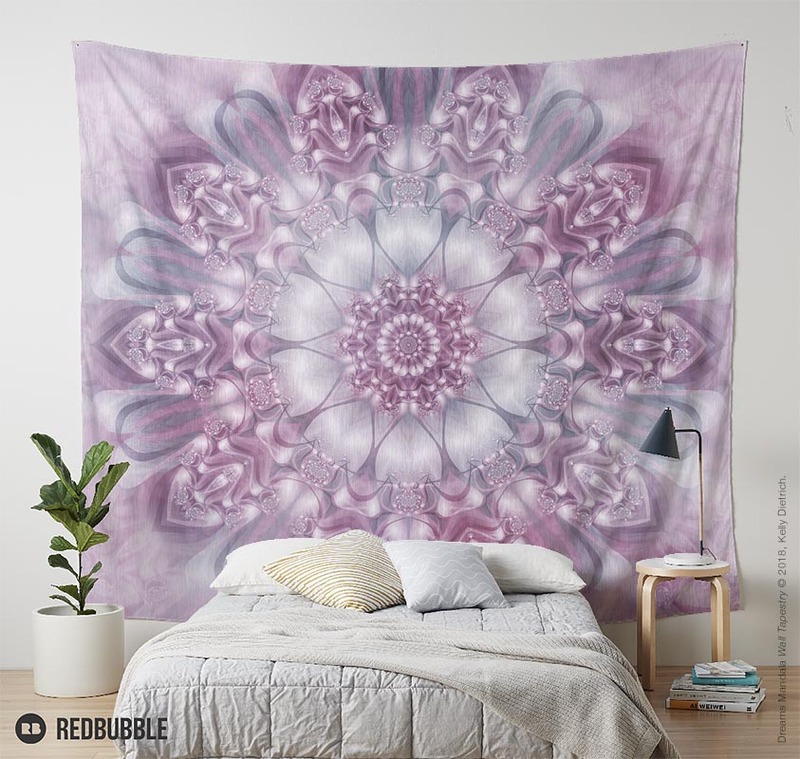 If you've been eyeing up some of my mandala and fractal art and decor, now's the time to act! Throughout today and tomorrow until midnight PT, you can save 25% off on everything in my shop, plus get free international shipping if your order is over $75. Swing on by my shop at Society6 to browse through my products.